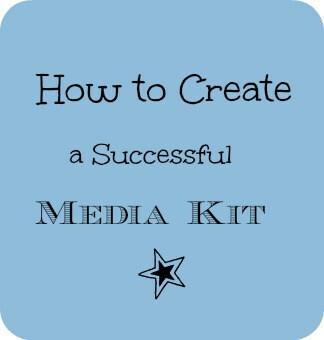 A Media Kit is good to have when you are replying to pitches and the company wants more information about you and your blog. Its where you list all your policies, statistics and traffic information and advertising options. Its worth it to take the time to do one. Here’s a general guide on preparing your own Media Kit and what to include in it. I have a separate paragraph for my Review Policies and my Giveaway Policies. Are your reviews free of charge? Do you keep the product after you are done reviewing it? How long will it take you to publish a review after receiving the product (ie. 4 to 6 weeks)? Are you willing to place keyword links at the companies request? Will you pay for shipping or duty costs for the review product? Basically, just describe your review process so the sponsor knows what to expect once they send you their product to review. Are your giveaways free? Mine are free when combined with a Review. For just a Giveaway, I charge a small fee. How long are your giveaways held for? What is the main entry? If it is visiting the sponsor’s site, then mention that. Are you willing to add the sponsor’s Facebook, Twitter, newsletter, blog, etc as Bonus Entries? Are you willing to ship to winners? (Very costly- I prefer NOT to do this!) Ask them not to ship the giveaway item with the review products. This is the section where you list all the ways that companies can feature their product/site, etc WITHOUT doing a Review & a Giveaway. List here how you want to be paid. I highly suggest Paypal as money is transferred instantly and there is no waiting around for a cheque to clear. Website or Company Features: A post where you review the website or company without a product in hand. Its basically just like giving some background on the company. I try to make it personal by saying what I liked about the website or what I would want to buy from the company. Make sure to say how much you are charging and any specifics (ie. how many words, keyword links, etc). Selling Button Ads: I sell spots for Button Ads on both my sidebars and this would be where I would list my rates. How much do you want to charge per month? Do you have package deals (ie. Buy 3 months and save x)? Selling Text Link Ads: I charge a little bit less for these although I prefer the button ads because I think they look more attractive over the text ads. Tell how much you are charging per month. These must be updated each time you send out your Media Kit as the numbers will fluctuate daily. Make sure to something like “Current Statistics as of April 20, 2010” or whatever day it is. Traffic Rank in the US (I use US because that’s where most of my sponsors are from, but you could use Canada or whatever country you like). This is the part where I give more personal details about me, my kids and what products I like to review. I have a few reviewers on my team so I include their personal info here as well. This just helps the sponsor to get to know you a bit better. Give your contact email here. So that is basically it! Use lots of white space, bullet points and short paragraphs so they aren’t reading big chunks of text. Once you have it done, you will just need to update your stats before you send it out. This is just a general guide, you can customize your Media Kit to suit your needs. .-= Vanessa´s last blog ..Wordless Wednesday~ Big Brother Love =-. Very intersting post. Thanks for the info. .-= rebecca´s last blog ..Jackâ€™s Dreams Come To Life â€“ inspiration behind the book â€“ by Sarah Jackson =-. .-= Kristie´s last blog ..CSN Stores Review and Giveaway!!! =-. Awesome post, it has a ton of information! Perfect timing! My blog is finally grown enough to attract advertisers. I’m a little scared but this helps a lot. Thanks for the post! Always good to update my media kit and pages.